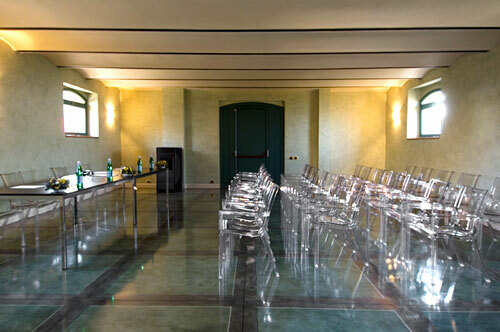 Relais Colombara Spa & Wellness offers you a 50 people meeting room where you can organize your business meetings or presentations. Some of the public rooms could also be used as meeting break up rooms. 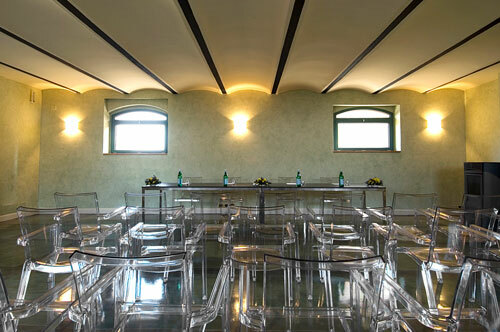 Our restaurant can accommodate 50 guests, while the bar is available for pre-dinner drinks or coffee breaks. In good weather, the courtyard would be an excellent location to entertain your corporate guests. Five sitting rooms form the lounge area and are the perfect location to relax, enjoy a drink and mingle with your colleagues and meeting partners. These rooms provide the perfect backdrop for your event.